This highly recognizable annual wildflower, also the state flower of California, is very drought tolerant and highly adaptable to any arid environment. Its cup-like orange flowers bloom early spring through summer along foothills and open grassy slopes. 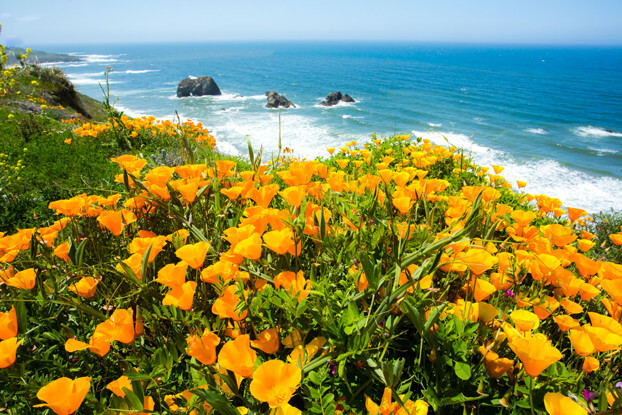 California Poppies can grow up to 18 inches tall and prefer full sun in light, sandy soils. It reseeds easily, making it a great choice for use in mass plantings along roadsides, open meadows, and borders.